What could we possibly learn from candid camera? We learn that humans by their nature tend to conform. There’s a great example, filmed by Candid Camera in 1962, which you can find on YouTube. The Candid Camera team waited until an unsuspecting member of the public entered a lift and then at the next floor some actors entered. The actors didn’t do what most of us do and face the lift doors. Instead they faced the rear of the lift. In most cases, the member of the public found it so uncomfortable to do the opposite to what everyone else was doing that they chose to turn around and face the rear as well. Facing the same way as everyone else in a lift has little consequence and there are many areas of life where it’s right to conform. For example, if you see your neighbours have left their bins at the kerb, you can probably assume it is bin night and you should do the same. In this case it makes sense to conform, but we believe that you cannot conform when investing if you want to outperform. At the core of our investment philosophy is the belief that you cannot do what everyone else is doing and achieve better than average results. This does not mean that we are oppositional for the sake of it, but we do look to separate ourselves from the competition by doing things differently. But this philosophy is easier to understand than it is to commit to. That’s why this way of thinking needs to be integrated at every level of the business. We are privately owned and independent. This enables us to focus on our long-term goals and what’s best for our clients. We are not pressured by external shareholders making demands for changes to the business for short-term results. We place great emphasis on aligning our interests with our clients’ interests. This is why we charge performance fees. Our success is linked to our fund performance so the company profits when the funds, and therefore our clients, profit. We tend to hire investment analysts from non-investment backgrounds. We don’t necessarily want analysts who have preconceptions about how investments should be made, instead we want to encourage them to think differently about investing; to be contrarian. We look for people who have done something extraordinary in their career and shown their ability to think independently. When researching companies we often use broad consensus as a contrary indicator, but we do not rely on the industry for our research. We do all our own internal research when valuing companies. To illustrate our contrarian thinking, the chart shows the average top ten holdings of the five largest Australian equity managers that describe themselves as active managers (those who supposedly actively manage an investment portfolio, as opposed to passive, index-tracking managers). It also compares these holdings with those in the ASX 300 Index, and the Allan Gray Australia Equity Fund. 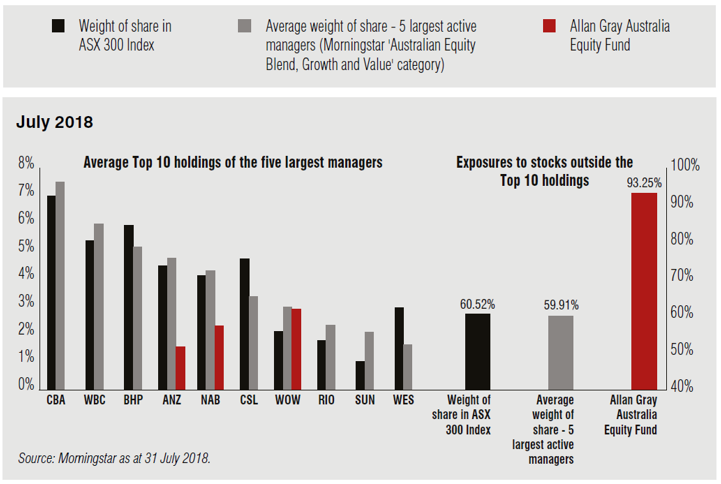 As you can see, the five largest Australian equity managers closely replicate the index, whereas an investment with Allan Gray looks very different to most of our competitors. We offer you another way to diversify your portfolio. 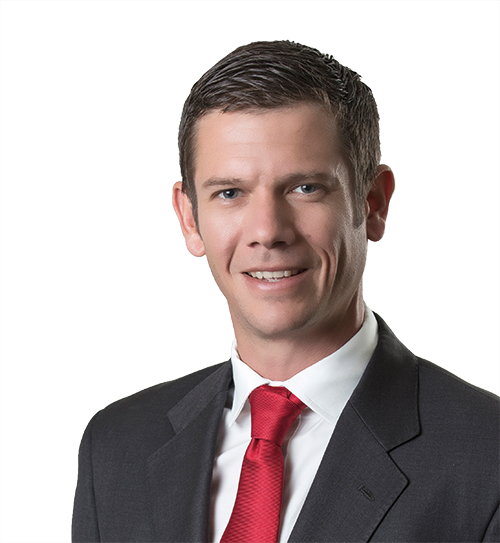 To learn more about our contrarian investment philosophy please contact us to speak to our Client Services team or arrange a meeting with one of our regional managers.